Well, not so fast. It’s important to understand the types of online learning platforms and how they can help you achieve your goals. Let’s define each online learning platform type in more detail. A learning destination site is a shared website that offers courses from many different providers. Think of this as a storefront, much like how Amazon is the front end for many retailers. Typically, learning destination sites allow you to author your courses using an authoring tool or a learning management system, and then either upload or link the courses to the site. The sites usually handle learner registration and eCommerce for you. Common sites include Udacity, Udemy, Coursera, and edX. Many industries have their own niche sites as well. A traditional commercial Learning Management System is a type of platform that provides the basic functionality necessary for developing and hosting an online course. It gives course designers the means to author courses, store them, manage learning profiles, report grades and progress, and provides other simple functionalities necessary for online courses. There are over 700 Learning Management System providers in the market, and most target corporate Learning & Development — their products are developed for internal training. However, some do have “extended enterprise” features, which make it easier to repurpose content for external audiences. An open source Learning Management System is a type of platform that provides the basic functionality necessary for developing and hosting an online course — much like the commercial LMS solution. The difference is they are typically free of charge and can be customized. For each platform, there are usually communities of vendors who can configure, host, and customize open source learning management systems for a fee. Common open source learning platforms are Moodle, Sakai, and Open edX. With the well-documented frustration that users often have with traditional learning management solutions, a new wave of modern solutions has emerged. These companies focus on learner experience and sometimes on specific pedagogies that aren’t well supported in traditional LMS solutions. Vendors in this category include companies like Docebo, Totara, Litmos, Motivis, and NovoEd. It is unfair to list just these; there are many more, and the landscape continually changes. Another type of online learning platform is the learning management ecosystem. With this model, organizations look to use best-of-breed “point” solutions and knit them together into one platform. Course authoring software, assessment tools, adaptive learning engines, eCommerce sites, and learning content management solutions (to name a few features) are integrated and presented to the learner as one solution. They are often built with a custom front end, creating the illusion of a single system. Last of the online learning platforms is the full custom built learning platform. With this solution, you build all, or most, of the technology you need from scratch by focusing on serving the business, learner, and pedagogy. This solution takes the most time and in many cases is the most expensive, but you get exactly what you need and have complete control over the experience and direction. Every situation calls for a different solution. Platform decisions are complicated, especially where you have constraints in time, resources and money. 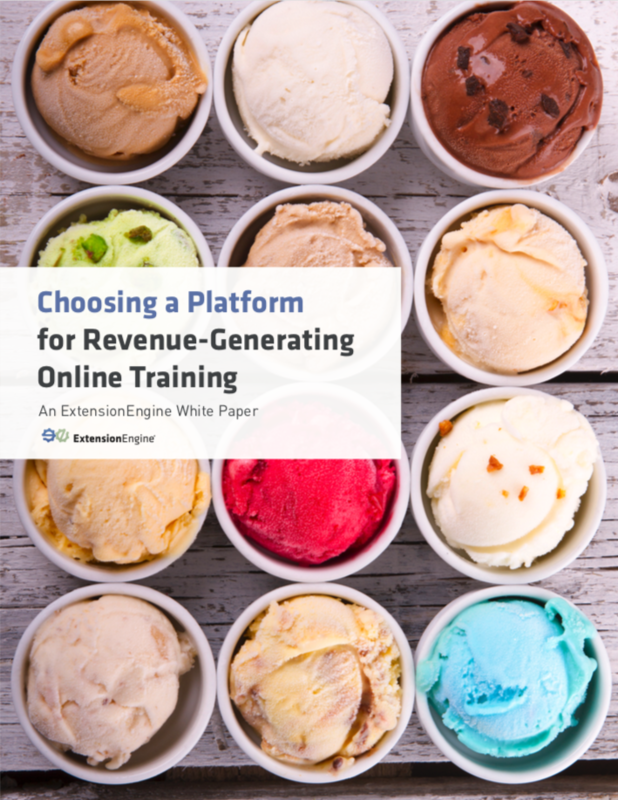 If you want more information on how to choose a platform for online learning, take a look at this white paper or contact us to talk through your strategy and implementation plan.